Professionals that mine and mill ﻿radioactive﻿ ores use this device to collect and measure radiation data. The Safecast bGeigie Nano is part of a global environmental sensor network enabling uranium miners and millers to collect radiation readings and freely use and share the data collected. 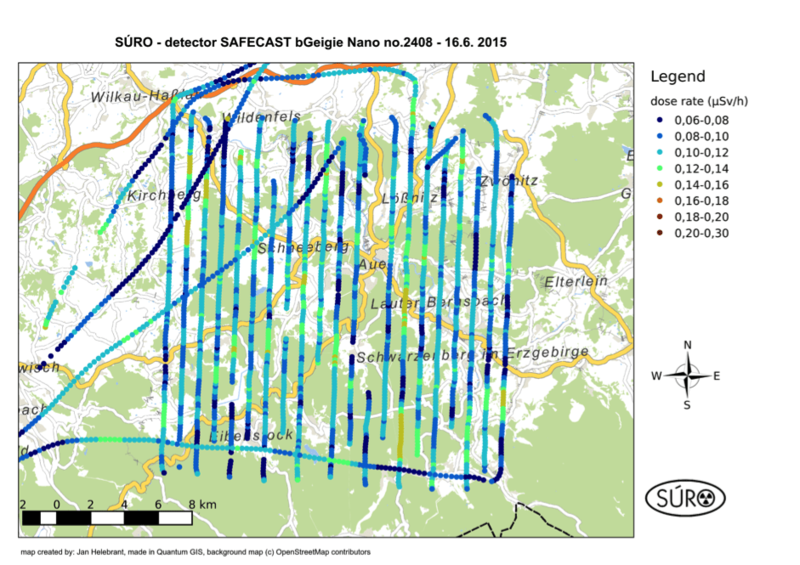 The following map shows data measured with a bGeigie nano by helicopter in the Schneeberg area, well known for uranium mining. Read more.